The Dressed napkin ring by Marcel Wanders Alessi sets slightly playful, Christmassy accents on the decorated holiday table. 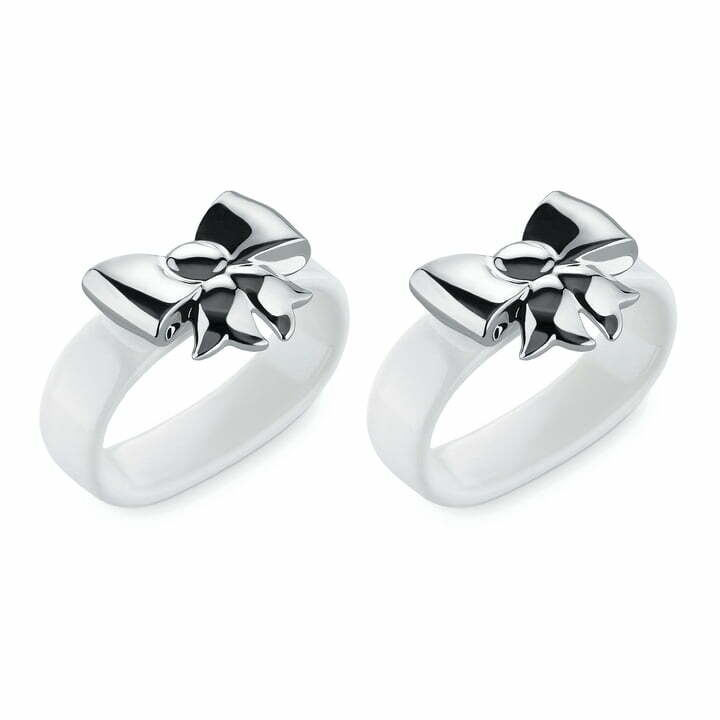 For his series Dressed for X-mas, designer Marcel Wanders presents exactly this form and material combination: An oval ring made of white porcelain decorated with a bow made of stainless steel, which can be understood as a reference to the forthcoming Christmas presents. 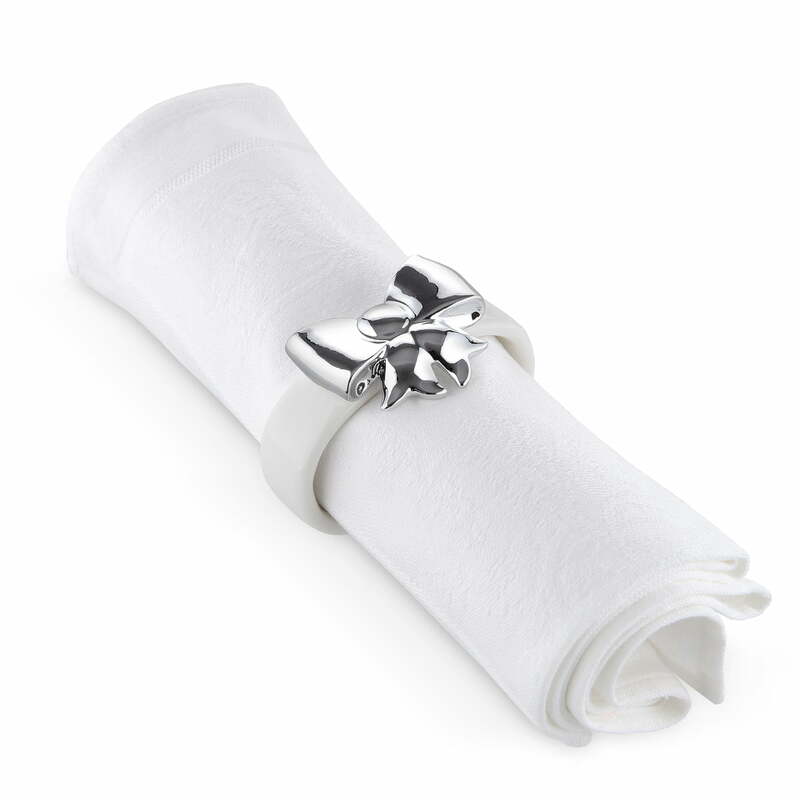 Put on paper or cloth napkins, the high-quality napkin ring ensures a festive atmosphere at the table. The Dressed napkin ring is offered in an attractive set of 2 and is also an excellent gift for friends or family. The Dressed napkin ring by Marcel Wanders Alessi sets slightly playful, Christmassy accents on the decorated holiday table. An oval ring of white porcelain decorated with a stainless steel bow.